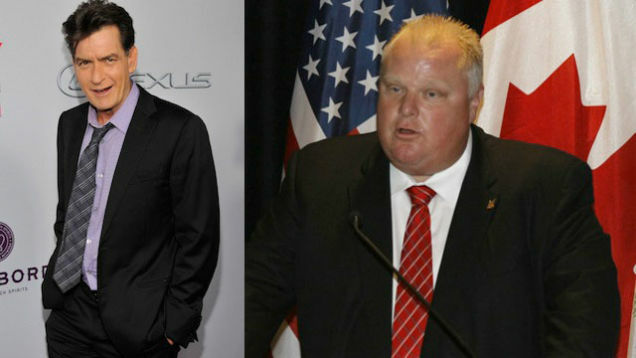 Yesterday, the Daily Currant, the world's worst "satire" site, published a fake news story about Charlie Sheen calling for Toronto mayor Rob Ford's resignation. Many, many people fell for the "joke," including Sheen, who was so offended that he tweeted a bizarre apology poem to Ford. Not so sure about the "steady hand" part, but it's a nice gesture, even if Ford probably has too much on his plate now to take Sheen up on his offer.